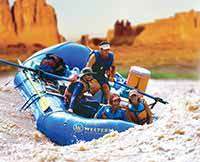 I came with my two boys, aged 18 and 10 and we all had an absolutely fantastic time on our Cataract Canyon Colorado River trip. Our guides, Anthony, Jesse and Erin were fabulous - always patient, helpful and created amazing food out of nowhere. 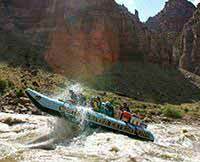 It was the trip of a lifetime with Western River Expeditions.